Arnoldussen & Associates can help you with proper health insurance in Nipomo CA, San Luis Obispo CA, Pismo Beach CA, Arroyo Grande CA, Grover Beach CA or Oceano CA. Health insurance is a complicated subject and it makes sense to deal with professionals who have the knowledge and experience. Arnoldussen & Associates are agents for the leading health insurance, namely Blue Cross Blue Shield. 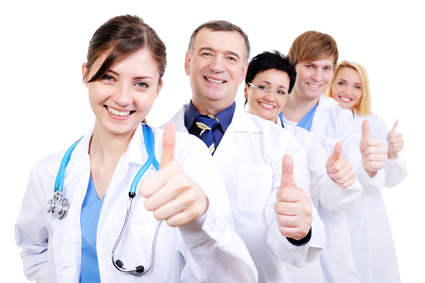 They provide a comprehensive range of health insurance and related services. Whether you need personal health insurance, Medicare or group health insurance, Arnoldussen will have the right solution for you. There several plans and you will come across many terms such as HMO, PPO, Medicare, Advantage Plans, Supplemental Plans, co-payments and more. It can be confusing and overwhelming to try and understand all the ins and outs of health insurance. There are prescription drug choices, membership benefits, private fee-for-service plans, medical savings accounts and more. Medical costs only go one way and that is up. Arnoldussen & Associates will help you find the right health insurance plans for you and your family. They can help with health insurance for individuals, for elderly people, for families, for groups and for employers. Once you have the right plan, they can help you with ongoing issues such as changes in coverage, finding the right doctor, prescription drug coverages and more. If you want to be confident that you have the right health insurance, then you need to deal with the experts in health insurance. Arnoldussen & Associates can find you the right health insurance and health care plans through Blur Cross Blue Shield. Whether you need to find the right doctor, need a new health care plan, need a change in coverage, need help with understanding benefits, Arnoldussen & Associates can help you in Nipomo CA, San Luis Obispo CA, Pismo Beach CA, Arroyo Grande CA, Grover Beach CA or Oceano CA. He could have been anyone living in the area of San Luis Obispo, Pismo Beach, Nipomo, Grover Beach, Arroyo Grande. He lived a happy life: 3 kids, a loving wife and a family that stuck together through thick and thin. He did not have that great corporate job which pays a lot of money, but he could not complain either. His children were well fed and received a good education at the local school, and his wife could even afford a trip to the beauty salon every month. All in all, they were young, happy, and healthy. Did he consider himself lucky? Yes, yes, he did. In fact, he thought he was so lucky, nothing bad could ever happen to him. So he kind of… forgot about his health insurance Arroyo Grande. “I never quite needed it anyway”, so he thought. But you can imagine he eventually ended up needing medical care. The health insurance San Luis Obispo was nowhere to be found. And for the cost, there was nothing put aside for emergency situations. All of a sudden, his wife’s salon appointments were seen as money thrown out of the window. Not because they couldn’t afford it, but because he thought he could have used that money to pay for health insurance San Luis Obispo. The benefits of health insurance would have been numerous, of course. When you are healthy you never think you will get sick. “It will not happen to me” does not work in this life. So do not wait until you can blame your wife’s small joys on the lack of health insurance. She needs to be pampered just as you need to make sure your family is secured in case of emergency. Have your health insurance done now. You can’t afford not to have it!